Olsa has developed a standard manufacturing system containing the guidelines and the methodology to be used for manufacturing processes, equipment, plants and product lines layout worldwide; continuous improvement is also standardized for all plants. 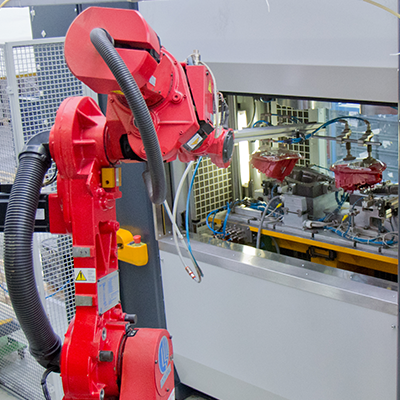 All our production plants are equipped with very modern injection departments where injection presses ranging from 60 Tons to 1000 Tons (1K, 2K and 3K) find their locations. Injection machines are fed and controlled from an automatic system which automatically dry and provide the right raw material to the right machine when it is needed. 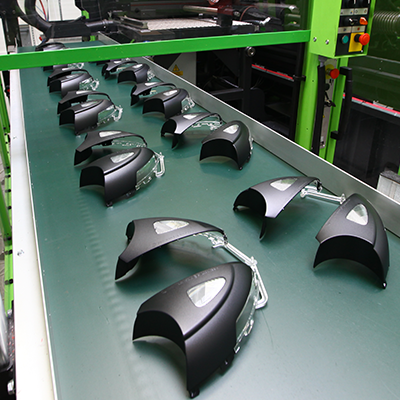 Metallization is another important stage of our production process; this is a real sensitive process which can have an important impact on esthetical results of the exterior lighting, mainly in rear lamps. Our plant are equipped with modern and secure metallization chambers from the highest level producers. All our metallization machine are installed inside a cleaned room with a overpressure atmosphere to leave out the dust and pollution. Welding: technologies used for this process are Ultrasonic and Vibration welding. 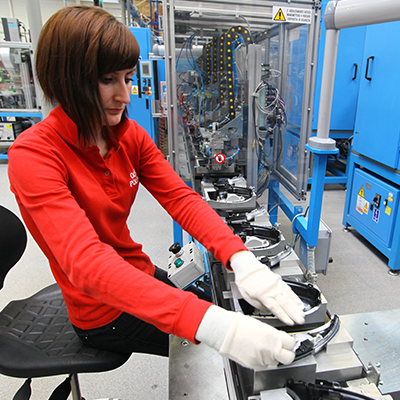 Various devices are available in production processes worldwide. After welding the annealing process happens in dedicated dynamic ovens (for rear lamps) or in a centralized oven. During year 2012 a special welding system will be implemented for vibration technology and recente developped laser welding. Assembly is performed in production lines or isles with different level of automation depending on the type of products and on the volumes. Fully automatic isles are also used for small lighting components which are transversally applied on different car models. 100% functional check is performed for all products and tightness test for welded parts. For rear lamps which have various functions and a very high esthetical impact on the vehicle, also light output and the esthetical aspects are automatically checked 100%. The final check station for our rear lamps is equipped with cameras to perform such controls in a quick and secure way.